Medicare costs are increasing both because new, more expensive (and effective) medical technology is being developed every year and because an aging U.S. population has greater medical care needs. As the slowing of spending in response to recent legislative changes indicates, more efficient health care delivery systems can moderate Medicare’s cost growth. Even with these improvements, however, the system still faces major financial shortfalls because program costs are increasing much faster than the rest of the economy. 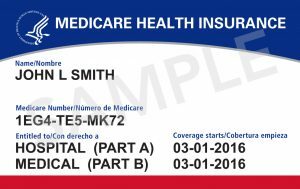 A lack of consensus on sweeping reforms should not preclude measured changes to make Medicare a more streamlined and effective program. Additional substantial legislation needs to enacted no later than 2007, the year that HI annual expenditures are projected to again exceed annual income. Once deficits begin, the financial outlook for the HI trust fund will dramatically worsen. The extension of the trust fund exhaustion date to 2015 should be welcomed as an opportunity to take the time to evaluate what options may mitigate the financing problem but also preserve the strengths of the program. The long-term financing problem facing Social Security is significant but could be solved by small gradual changes IF those changes are enacted soon. The public discussion of the last year has advanced the reform debate by bringing into sharper focus the limitations and administrative difficulties of replacing a major part of Social Security with individual savings accounts. One way not discussed in recent years to deal with uncertainty and political gridlock could be to enact modest changes in benefits or eligibility that would be triggered by changes in key indicators. For example, tying the age of eligibility to life expectancy changes, or tying benefits to the growth in wages rather than prices, would help stabilize program financing. We are not proposing such indexing: a reasoned political debate reaching consensus would be the preferred solution. But we do note that a major step in the direction of indexing was taken in 1972 when automatic cost-of-living adjustments and automatic earnings-base indexing were added to replace ad hoc legislative adjustments made haphazardly, and that these changes have come to be valued as integral parts of the program. We strongly believe that these Reports serve as an early warning of the need for changes to ensure continuation of Social Security and Medicare and not as evidence of their failure to protect future generations. Working cooperatively, with informed public debate, solutions can be found to the financing problems facing America as our population ages. It is time to begin that undertaking.